There are a lot of different types of pianos out there and although they are all very similar, they are actually incredibly different. If you are a computer person, you can think of pianos as operating systems. Some users will prefer Windows, some will prefer Mac and then you’ll have the uncommon one who favors Linux. Although they are systems that do the same thing, how they do it is the difference. Let’s talk about the sizes. The smallest of all pianos is called a spinet. This style of piano is uncommonly found and produced today despite being the most sought after piano. 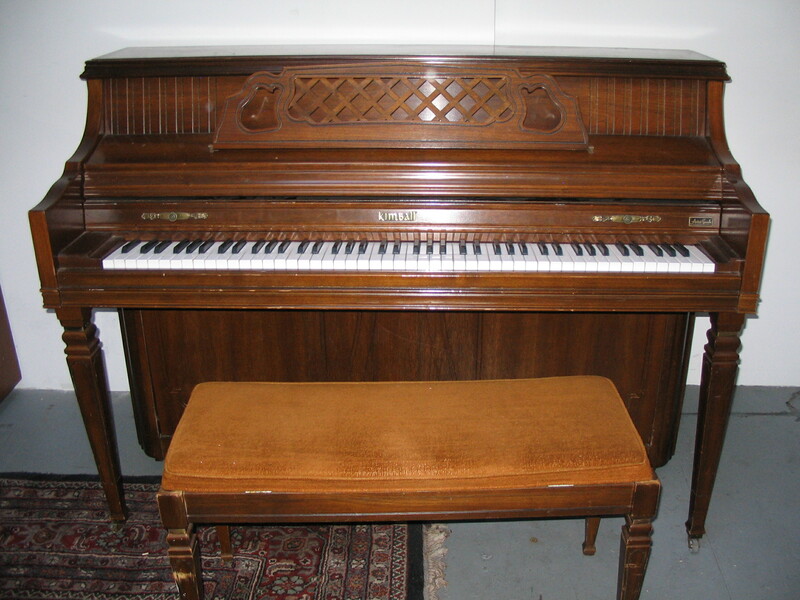 The spinet piano was made popular from the 1940’s-1980’s and one indication you can tell if a piano is a spinet piano is if the music rack comes up above the top of the piano. Since this style of piano is so short, people had a difficult time in the past making them play well and sound good. The next size up is called a console piano. 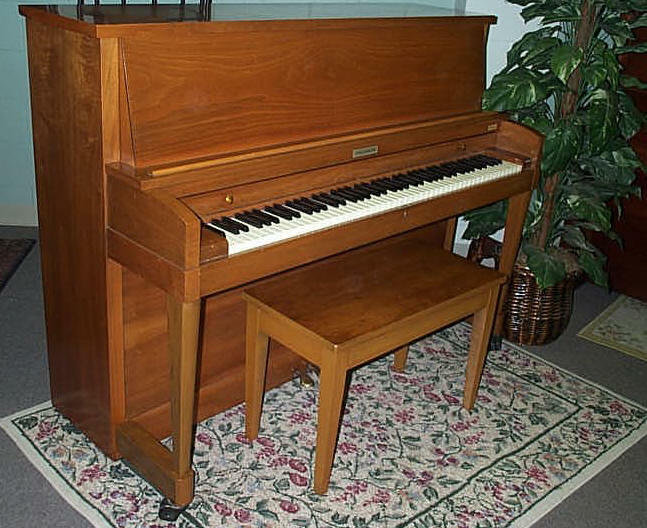 The console piano is just a bit taller than the spinet and it is the most common piano that is made today. You can tell a console piano from a spinet if the music rack is about even with the top as you can see in the image. My personal favorite is perhaps the studio piano. I’m not sure what it is, but something about the studio piano just sounds so perfect and professional. Studio pianos are the next size up from the console piano, which again the bigger size has a noticeable impact on the sound. You will typically find studio pianos in churches, schools, studios (obviously) because they are able to be moved around and take a decent beating. These pianos are strong, sturdy and built to last. The upright piano is the tallest and the king of all the pianos as it sits “upright” on it’s throne. This particular style of piano was made popular and common from the 1800’s-1940’s which was when the spinet piano took over and became the new craze. If you are a professional pianist, you would prefer to play on an upright piano because the strings are long enough to be considered a smaller grand piano. Upright pianos give full, crystal clear sound and are still made today.